After United 93 and World Trade Center in 2006, films about the September 11, 2001 terrorist attacks largely dried up. While we got movies related to the subject � like 2010�s Extremely Loud and Incredibly Close, tales firmly set on or around the 2001 date remain rare. 2017�s 9/11 adds a new effort, as it looks directly at events on September 11. On that morning, five inhabitants of the World Trade Center�s North Tower use its elevator. When a plane strikes the building, they become trapped. They go through a harrowing experience as they try to escape and survive. While World Trade Center and United 93 both got wide releases, 9/11 barely made a dent in theaters. It played on a maximum of 425 screens and made a meager $170,000 total. For perspective, The Last Jedi earned about that much every three minutes during its opening weekend. Despite that poor showing, I enjoyed some hopes 9/11 could deliver a decent human drama related to its subject. Even while it fictionalizes a lot of events, some solid emotion and power could stem from it. 9/11 came with a professional cast, another factor that added to hopes. With Charlie Sheen, Luis Guzman, Whoopi Goldberg, Gina Gershon and others on board, the film brought us a capable set of performers. Unfortunately, 9/11 gives them a 10-cent script filled with inanities and emotional manipulation. It brings us characters who prattle about nonsense for the most part and who don�t allow us much reason to latch onto them. Adapted from a play, one can sense the stage-bound roots of 9/11. Sure, it expands outside the elevator at times, but the flick usually keeps us with the five main characters. That concept could work, but as depicted here, the effort feels contrived and superficial. Each character tosses out nuggets and tidbits, but these lack depth and do little to attach us to them in a positive manner. Dialogue tends to come across as artificial, another factor that harms 9/11. The whole project comes with a �scripted� feel that robs it of much power. Though talented, the actors fail to add much to their parts. Most �act down� to the material, and that means they feel more amateurish than expected given their credentials. Honestly, the only emotion we get from 9/11 comes from memories of the actual day, as the material continues to give me chills. Unfortunately, 9/11 becomes a thin, contrived experience that fails to turn into anything memorable. 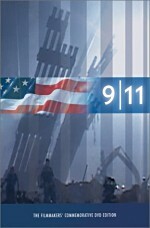 9/11 appears in an aspect ratio of approximately 2.40:1 on this single-sided, double-layered DVD; the image has been enhanced for 16X9 televisions. Even for SD-DVD, this became a dull presentation. Sharpness was a concern, as the movie lacked good clarity. While the film mustered decent delineation at times, it didn�t present real detail, so the end result felt mushy. No issues with jagged edges or shimmering occurred, and I saw no edge haloes. Print flaws also failed to occur. Colors tended toward a cold blue feel, and they lacked much impact. The hues seemed bland and didn�t deliver much vivacity. Blacks were inky and thick, while shadows came across as a bit dense. This wasn�t an awful presentation, but it seemed drab at best. At least the movie�s Dolby Digital 5.1 soundtrack offered a bit more oomph. A chatty flick, most of the mix concentrated on dialogue. A few scenes opened up the soundscape a bit, though, and added power. Occasional explosions used the channels well, and some other elements connected to the problems with the tower offered solid usage of the channels. Audio quality seemed fine, with dialogue that appeared concise and distinctive. Music offered fairly full tones and appeared well-rendered. As noted, effects only kicked into gear on a few occasions, but those moments boasted nice impact and punch, with solid bass response to bolster the material. Overall, the audio suited the story. The disc includes the film�s theatrical trailer but it lacks any other extras. 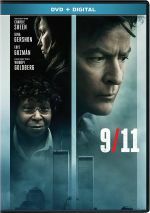 A character drama set among tragedy, 9/11 fails to provide impact. Instead, it gives us a superficial, melodramatic tale that fizzles. The DVD offers bland visuals along with generally good audio and no supplements. The story behind 9/11 comes with intrigue, but the film falls flat.